There are several occasions when crucial data is lost owing to formatting, system crash or accidental deletion. 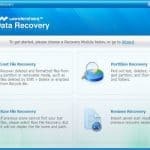 There is no need to fret over data loss, as Wondershare Data Recovery software is here to the rescue. This software is capable of retrieve the videos, images, documents, email and a lot more in an efficient and secure manner. The software is quick and retrieves all the information in no time. The Wondershare Data Recovery software is an easy and powerful tool that helps in recovering deleted, formatted, lost and inaccessible data from a plethora of devices. Whether you are trying to recover files from a digital camera, USB drive, mobile phone, external hard drive or MP3 player, this software is safe and efficient when it comes to file recovery. Diverse file systems are supported by this device. Overall, Wondershare Data Recovery software is an impeccable recovery tool for ensuring fast, secure and easy file recovery on all devices which can be handled easily by both professionals and novice users. The software works with all drives, digital cameras, cell phones, iPods, MP3 players and a lot of other storage devices. The software operates in four modes: Partition recovery, wizard recovery, raw recovery and lost file recovery mode. This software also permits data retrieval from files or folders that are considered to be inaccessible. This software is completely safe to use. Recovery of files of more than 500 formats is possible with the aid of Wondershare Data Recovery Software. The wizard mode can be employed by the novice or the beginners who have not handled any kind of recovery software earlier. The users need to answer a couple of security questions and the rest would be managed entirely by the software to recover all the data that has been lost. 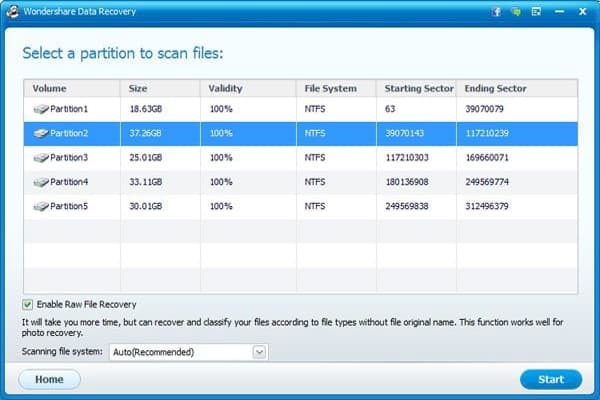 The Raw recovery model can be used when data retrieval is being sought from corrupt files. The software digs deep into the device for recovery the data. Lost data during partition is also recovered by the Wondershare tool. The popular file formats that can be recovered by Wondershare Data Recovery software includes bmp, gif, jpeg, tif, png, docx, pdf, htm, rar, ppt, zip, xls, xlsx etc. The targeted files can be previewed with the aid of this software. A preview of documentation and archives help in deciding whether the files are worth retrieving or not. The tool is quite user-friendly. 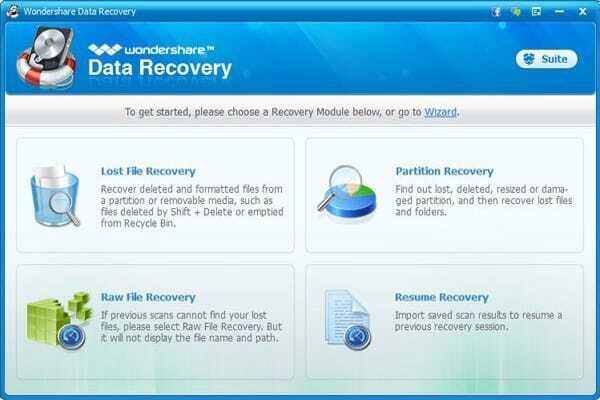 In mere three steps, data recovery can be accomplished with the aid of Wondershare Data Recovery software. The customizable experience offered by Wondershare Data Recovery software is what makes it stand out from the rest of the data recovery tools. Based on the level of experience, you can pick the wizard or employ the manual recovery mode. You can pick the files that you are looking for by employing a deep scan feature. The deep scan feature helps in recovering files that have been formatted. However, this consumes some time. The scan preview permits you to see what has been found by the tool. You do not have to wait for the scan to stop in order to preview the files. A list is displayed as soon as the files are located one by one. The only issue that the users face with this recovery software is that the help feature is hidden in a drop down menu. When the icon located at the right hand corner of the screen is accessed, then the user can utilize the Help feature. The overall interface of the software is quite clear and streamlined. When compared to other data recovery softwares, Wondershare scores because of the user-friendliness demonstrated by this software. This software functions directly without any requirement for authorizations. The four unique mode help in recovering within a short span of time. The special modes can be employed based on the condition and this helps in accomplishing the task in quite a convenient manner. The quickest mode one can opt for is the lost file recovery mode. A 90 GB disk can be scanned within this option in several seconds. The files are listed in the form of library folders and documents. This adds to the ease of the software usage. The Raw recovery operation does a deep search by portioning the disks. This consumes considerable time but assures offering the files that you are looking for. Wondershare is safe to use and it does not the damage the system or overwrites the files. Flexibility is the department where this software is a hit. Restart and pause options are offered during scanning the disks. There is an option to filter the files precisely with name, date and size. This saves a lot of time. The preview features add to its versatility. Inspection of quality before recovery offers an edge to the users. 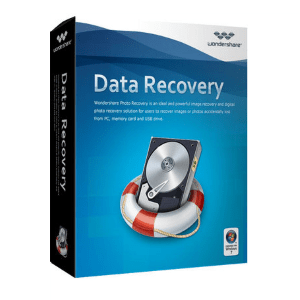 The user friendly interface and the clear instructions makes this software easy to use by people who have no prior experience with data recovery. Wondershare Data Recovery software is quite flexible when it comes to use. There are occasions when you do not really have time to wait for the scanning process that is time consuming. This is when the special features offered by this software can be employed. The scan can be stopped and then can again be resumed which is quite a wonderful feature. The preview facility of the documents before restoration is the best feature of this recovery software. This permits you to recover files that are important to you. You can also initiate a search by entering the file size, date or name. this would save a lot of time. overall, this software is a wonderful option as it offers ease of usage and demonstrates flexibility when one is looking for ways to recover lost data.